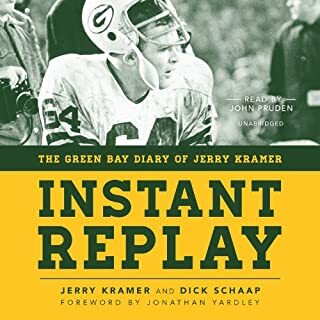 This classic sports book takes listeners inside the 1967 season of the Green Bay Packers, following that storied team from training camp to their dramatic victory in Super Bowl II. Candid and often amusing, Jerry Kramer describes from a player's perspective a bygone era of sports, filled with blood, grit, and tears. No game better exemplifies this period than the classic "Ice Bowl" conference championship game between the Packers and the Dallas Cowboys, which Kramer, who made the crucial block in the climactic play, describes in thrilling detail. 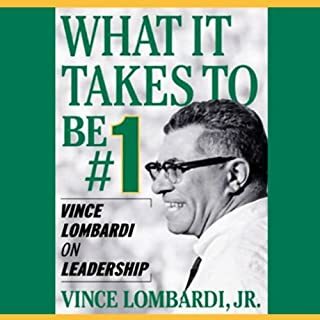 It is also a vibrant football story, abundant with accounts of Lombardi's thrilling life in that world, from his playing days with the Seven Blocks of Granite at Fordham in the 1930s to the glory of coaching the Green Bay Packers in the 1960s. 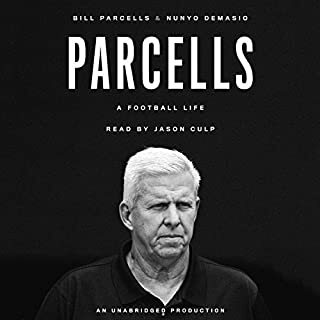 It is also a study of national myths, tracing what Pulitzer Prize-winning biographer David Maraniss calls the fallacy of the innocent past, and an absorbing account of the mythmakers from Grantland Rice to Howard Cosell who shaped Lombardi's image. By the time he died of cancer in 1970, after one season in Washington during which he transformed the Redskins into winners, Lombardi had become a mythic character who transcended sport, and his legend has only grown in the decades since. 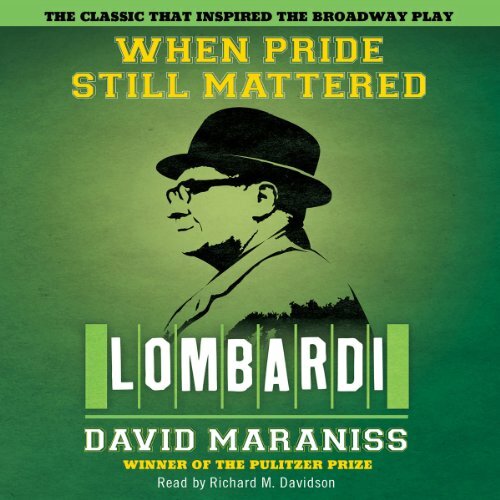 In When Pride Still Mattered, Maraniss renders Lombardi as flawed and driven yet ultimately misunderstood, a heroic figure who was more complex and authentic than the stereotypical images of him propounded by admirers and critics. Using the same meticulous reporting and sweeping narrative style that he employed in First in His Class, his classic biography of Bill Clinton, Maraniss separates myth from reality and wondrously recaptures Vince Lombardi's life and times. ©1999 by David Maraniss, All Rights Reserved (P)1999 Simon & Schuster, Inc., All Rights Reserved, AUDIOWORKS Is an Imprint of Simon & Schuster Audio Division, Simon & Schuster Inc. The biography is well written and the narrator does a nice job, but listening to sound quality level 2 is rather trying to the ears after a while. I probably won't buy any more audio books compressed to sound quality 2. Great story about a great man! 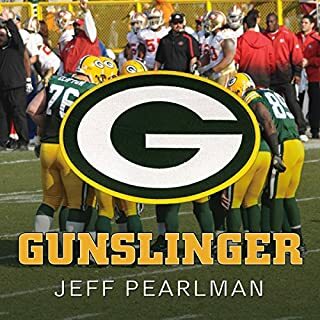 A must read for football fans, specially Green Bay Packers fans! Growing up with the Packers and living in the shadow of Lambeau Field made this a must read. The story filled in many of the holes in my understanding of the Lombardi years. I had to work to accept the dry reading of the text. Worth every penny. Great writer but poor speaker / reader. This is not written like a sport's writer; very dry. Saying all that - lots of insight into Lombardi the man versus Coach. If that is what you want book will be worth more Stars. Would you consider the audio edition of When Pride Still Mattered to be better than the print version? I haven't read the print version but I prefer the audio. Have you listened to any of David Maraniss’s other performances before? How does this one compare? I am a first time listener. Not bad but missing the "enthusiasm"
Was When Pride Still Mattered worth the listening time? Narrator with a voice for insomnia! As above. Hard to enjoy when the narrator was so monotone, I could only listen when out walking else I'd fall asleep. This is a very intersting biography of the man who lead the Green Bay Packers to the first two Super Bowl titles. The trophy now bears his name. But where did the legend begin? 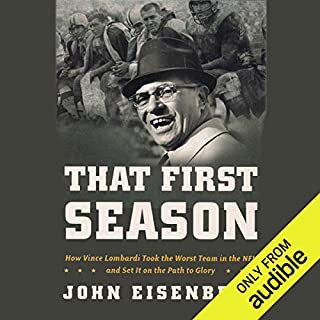 This biography follows Lombardi from high school coach to Army coach and as an assistant on the coaching staff of the New York Giants and then onto Green Bay before his final year as head coach of the Washington Redskins. On the New York Giants staff was Tom Landry who, as coach of the Dallas Cowboys, faced Lombardi and the Packers in the infamous 'Ice-Bowl' (1967 NFL Championship Game). Maraniss sets the scene so well that you can almost feel your fingertips start to freeze. It was a game that some thought would not go ahead because of the cold but the game became legendary in the history of the NFL. Maraniss also sets the record straight concerning some of Coach Lombardi's famous quotations ~ and how that they have been taken out of context and even contradict his strong family ideals. 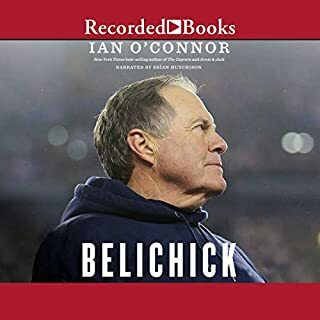 A great audiobook and a must for NFL fans who want to learn more about this great coach. I have long been interested in the story behind the man for whom the Super Bowl trophy is named. David Maraniss’ book gives a short(ish) but deep insight into the man behind the Green Bay Packers success in the 1960s. Like all ‘heroes’ Maraniss’ Lombardi is a flawed perfectionist. He captures the heart of the man and the influences that helped define is coaching and life mantra. While the performance is variable the story is compelling.